This is CME on ReachMD. The follow activity titled Mild to Moderate Acne in Primary Care: A Multidisciplinary Discussion is provided in partnership with Prova Education and sponsored by an independent educational grant from Galderma USA. Before beginning this activity, be sure to review the faculty and support disclosures, as well as the learning objectives. Here’s your host, Dr. Paul Doghramji. Although it’s commonly perceived as a minor issue that will simply clear up over time, acne is a chronic inflammatory condition that can have a lasting physical and psychological impact on patients. And to make matters worse, patients report that their physicians are often dismissive if they bring up the topic, confirming the need for us to change the way we approach this condition with our patients. I’m Dr. Paul Doghramji, and I’d like to welcome Dr. Steven Feldman to the program. Dr. Feldman is from the Department of Dermatology at Wake Forest School of Medicine, and he’s joining me to discuss how primary care physicians can proactively care for our patients with acne. Dr. Feldman, welcome to the program. It’s my pleasure to be here. So, Steve, I’d like to consult with you on a recent patient case. So, this is a 16-year-old young lady, a high school student, and her name is Claire, who had come in for her annual checkup. And I do a lot of these checkups, and we all do as family doctors, as primary care providers, but during the exam I noticed that she had acne on her face and a little bit on her upper back, and she’d been my patient for several years, and I know she’s very active, both physically and socially. I also noticed a few erythematous papules and occasional pustules mixed with comedones on her nose, forehead and shoulder. So, when I asked about that, she told me that she had a few inflamed acne pimples, and while she knew that she shouldn’t touch them, she couldn’t help herself from scratching them to see if she could make them go away faster. One other thing was that she was a bit relieved that I brought up the subject. So, I commonly see patients like Claire in my practice who present with acne during their checkups, but I know that if my colleagues in primary care were to see this, I don’t think they would start such a conversation. So, what do you think about this case, Steve? Well, you’re doing great to proactively address acne in patients. 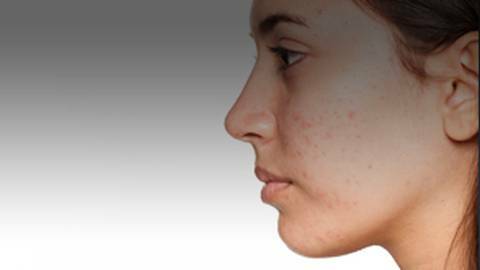 Whether they’re teens or adults, acne can have a profound impact on people’s lives. Sometimes it’s a little unpredictable. Some patients aren’t bothered so much by the acne, and sometimes it’s really devastating to people. On average, it makes people lose self-esteem, they may be depressed about it, and then there can be scarring that can cause permanent changes and even affect people’s livelihoods and what education and jobs they take in the future, with permanent deformity. By capturing acne early, I think you have the best chance of not just getting the disease under control more easily, but you’re also preventing those long-term sequelae, both physical with the scars and psychologically on people. So, I think you’ve hit the mark addressing acne when you see patients for their annual checkups even. Now, one of the key points you made is about the picking. Sometimes the picking is totally out of proportion, and getting people to stop picking is a little bit of a trick. One of the things I find helpful is to let patients know that when they dig, they’re probably driving infection deep into the skin, and there’s no way I can stop the resulting scarring. Excellent point, Steve. And as I mentioned, I see so many teens and young adults, and unless I initiate the discussion, they seem quite coy to bring it up themselves, and that’s why I personally use the yearly or annual checkups with these young adults to address the topic with them. That’s when it presents most often. And I usually start the discussion with a question something like this. “I see you have the typical acne that so many teens like you have. Are you concerned about it? Do you want my help to make it a bit better?” And it’s interesting how oftentimes they seem relieved that I bring up this question and that they do want help. So, what I’ve noticed is that acne is not proactively managed, because for some reason, both patients think of it as maybe a minor condition that they shouldn’t bring up with their clinicians, or clinicians themselves, maybe they don’t feel as if they have the time or maybe even the know-how to deal with it. Maybe even some of the patients that I’ve come across, they seem either embarrassed, or maybe they’re there with their parents and their parents have bigger fish to fry, or something to that effect. So, the patients’ perception of the severity of their condition doesn’t always reflect though the clinician’s objective assessment. And so, the patients should always be treated sympathetically as the impact of acne has on their lives can be profound and it can have psychological ramifications. What I’ve noticed about my primary care colleagues is that either they don’t feel like they have the time to discuss it, or maybe they feel as if it’s not that important, or even worse yet, maybe they don’t feel as if they know what to do about it. So, Steve, it’s not just in young adults. I also see it in adults as well, in their 20s, 30s or even 40s. Particularly women, they’ll come in very frustrated and either for just that specific reason or maybe for some other reason and they will fold it in. They’ll say, “You got to help me, Doctor, with this acne. I mean, I’ve had it. I used to have it as a teen. It kind of went away. And look at me right now. I mean, I’m using all this makeup to hide it, but underneath it it’s all red, it’s irritated, and I’ve used everything I can. I’m really frustrated. Is there something you can do to help me out, or do I need to see a dermatologist?” That happens all too often, Steve. I think acne is worse in adults in the sense that it’s accepted that teenagers have acne; in adults, it’s not accepted. Most adults don’t have it, and so having it is more of a problem. When we see patients, who have failed multiple treatments for their acne, we have to keep in mind the 3 main reasons they wouldn’t have gotten better. The wrong diagnosis and the wrong treatment are usually not 2 of the 3 things, because I don’t think dermatologists or primary care providers are making the wrong diagnosis of acne or prescribing the wrong therapies. The number 1 biggest thing that can go wrong is poor compliance with the treatment. The second biggest thing is poor compliance to the treatment, and the third biggest issue is poor compliance with the treatment. So, giving patients a good regimen with clear instructions and little tricks to get people to do things well, I think, can make a big impact. One of the things I love about being a dermatologist is that with a few simple measures, I can make many patients’ lives a whole lot better. I don’t know that you get to do that every day in primary care, taking care of hypertension and diabetes, but here you have a patient with acne who’s maybe suffering tremendously, and you can give them some relatively simple treatment that can actually make a sudden change in their lives. It’s very rewarding. And not only that, but for the acne that’s causing scarring, you may be giving them help in a rather permanent way. I imagine you see some of the same thing in primary care. A lot of times parents don’t really want to take their children to a dermatologist. Maybe they don’t have the time or maybe they have some referral or insurance issues. So sometimes, Steve, it’s difficult to get these patients to you, and I have to do a lot of the work. But again, I have to suspect that there’s a problem there, and I have to be sympathetic with bringing it up myself, even proactively at times. And knowing what to do about this for some of my patients has been very rewarding as well. So, for those just joining us, this is CME on ReachMD. I’m Dr. Paul Doghramji, and joining me is Dr. Steven Feldman to discuss the role of the PCP, primary care provider, in treating patients with acne. Now, obviously, acne can have a major impact, so let’s take some more time to focus on its management. So, given the recent patient I saw—I discussed Claire—with mild-to-moderate acne, I know that the American Academy of Dermatology guidelines state this type of acne can be managed with over-the-counter options. So, Steve, what criteria do you use to guide your decision? Yeah, so acne has some different forms. We talk about sort of the mild or comedonal acne, which is whiteheads and blackheads. And then, you have more inflamed acne with red bumps, pustules. Then there’s the deep scarring, and we shouldn’t forget there’s the kind of acne where the people are just picking at themselves and there may be some underlying acne or there may just be picking, and that’s, I think, a fairly common phenomenon to see. The severity is also determined by how extensive it is. When it’s just the face, it’s relatively easy to get by with just topicals. When it starts getting on the chest and back, large areas, then the severity is worse and the ability to treat it with topical therapies is more limited. So, acne, at its base, is the whitehead and blackhead, and for that we use topical retinoids. So, for pretty much almost all our patients with acne—mild, moderate, even severe—some kind of retinoid therapy is used, either the topical retinoids for mild-to-moderate disease, or if somebody had horrible, severe disease, we might give them the oral retinoid, isotretinoin. You have a couple of prescription topical retinoids, and now you have an over-the-counter topical retinoids, Adapalene, so pretty much all patients with acne should be accessing this one way or the other. Once it starts being more inflammatory, we don’t give up on the topical retinoids, we continue those, but we might use something that kills bacteria like benzoyl peroxide or topical antibiotics with benzoyl peroxide. Benzoyl peroxide kills basically everything, and it’s a great choice. The one thing you have to warn patients about though is that it can bleach things, so if they put it on their face and they pull a shirt over their face and get the benzoyl peroxide on the collar, it can bleach the collar. The worst example of this I had was a mom was quite upset. Somebody had given her 2 teenage boys topical benzoyl peroxide to use for their acne, and these boys wrestled on the living room carpet, and that mother was not too happy with the results of that. It’s important to know about the bleaching effects of benzoyl peroxide. Steve, can you get around that by suggesting that they use benzoyl peroxide washes versus the topical agents that stay on the face? I think that’s a great idea. Yeah, if a patient wants to use the wash, putting that wash on, leaving it there for a little bit and washing it off. Benzoyl peroxide works so fast at killing bacteria. A long time ago, when it first came out, benzoyl peroxide washes were prescription. Now they’re all over-the-counter, so it’s very easy for me to just recommend it for my patients to go and get either a 5% or a 10% wash.
You know, you can give patients the ability to access pretty much state-of-the-art acne therapy for mild-to-moderate disease by having them use a topical benzoyl peroxide that’s available over the counter, along with topical Adapalene. Yeah, I think that’s very reasonable. You can also think about using topical clindamycin, but you’d want to use that with topical benzoyl peroxide, and not by itself, because we don’t want to contribute to the antibiotic resistance problem. I think just using the benzoyl peroxide alone is enough. If you’re going to give people a combination, benzoyl peroxide with clinda, I’d probably give it as a combination product so I’m not asking patients to do too many things. Paul, I know this is going to be hard to believe, but teenagers with acne are not fully compliant, not fully adherent, to the medications we recommend to them. getting them to do one thing well is hard enough. Trying to get them to do multiple things is really all the more difficult. So, anything more than a topical retinoid alone or a topical retinoid with a benzoyl peroxide wash, more than that, I think you’re really pushing your luck. I have some tricks for getting teenagers to use their acne medications. One thing I’ll tell them when I encourage them to use a particular product is, I will tell them, “This is the product that most teenagers are using to treat their acne.” Now, what do teenagers want to be like? They want to be like other teenagers. So, when they hear that, I think it’s a strong inducement to use the medication. And then, one thing that I think family doctors are probably a whole lot more comfortable than we dermatologists are is in the use of birth control pills. I think birth control pills are an excellent treatment for women who have hormonally-induced acne. One of the things I ask all my teenage and adult women with acne is are their periods regular, because if they’re not regular, I think that’s a solid sign that their acne could be hormonally related and that a birth control pill would be a good choice for them. There was one other thing I want to back up to, Steve, and when we were talking about some of the topicals, there’s all these different brands, and some comes as lotions, some come as gels, some come as creams. Sometimes I find that a bit difficult to navigate through them. I, as a general rule, will go and suggest that they use gels, especially with antibiotics. What do you think? I’m deeply aware of all of those options, and I tailor them for the specific patient. The one best vehicle is the vehicle that that patient wants to use. Me, personally, I love gels, especially alcohol-based ones that go on and dry right up, because I don’t want something oily. That’s a very good way of looking at it. And especially in this young lady that I talked about, Claire, as an athlete, I felt as if maybe the gel would stay on her skin a little bit better, so I tended to go in that direction, but I like what you’re saying, which is tailor each patient to their individual needs when it comes to the different vehicles. Is there any kind of suggestion as far as hypoallergenic?—because patients will always say to me, “I’m using this product. It’s 10 times more expensive and it’s hypoallergenic.” Any thoughts on that one? It seems like you can get inexpensive hypoallergenic products over the counter now very easily. If a patient wants to use a moisturizer, using something that doesn’t make acne worse, they can look on the container to see if it says noncomedogenic. That might be helpful. Excellent. So, these are great suggestions, Steve, really good ones, and let’s get into it a little bit more though with this case, Claire. So, what I recommended for Claire is that she use a topical combination therapy with benzoyl peroxide and a retinoid, and I want her to use this at the least concentration possible of the benzoyl peroxide and titrate upwards very slowly. And I usually do tell them that it may take a while, maybe a month or 2, until you notice a difference. I also discussed a couple of important issues. I discussed also with her what kind of soap to use, let’s say, when she takes a shower or a bath. What do you think about that specific combination for Claire? Oh, I think you’ve picked a good combination. Benzoyl peroxide and topical retinoid is a great way to go. I think there are 2 philosophies of different extremes about avoiding side effects. One is to do, as you say, start real mild with the mildest thing and work up; maybe use the retinoid once or twice a week. If your skin gets used to that, then go to 3 times, 4 times, and work your way up. That’s entirely reasonable. There’s another philosophy, which is “go big or go home.” Give them a nice, potent topical retinoid along with a benzoyl peroxide. Have them do it every day until they start seeing dryness, and then once they start seeing dryness, cut back. And the advantage of this approach is, I think, for adherence. I want people to get in the habit of doing it, and if they’re doing it every day, it’s easier to develop a habit than if they’re just doing it intermittently. It’s very common for dermatologists to tell people to come back in 2 or 3 months. You say 1 or 2 months. I think, if you brought them back in a week, they would have much better outcomes. And let me explain this. This, I think, is just the most important thing they did not teach me in medical school, I mean, the idea of giving the patient a prescription and saying, “See you in a month or 2,” is ridiculous. We all do it because we saw our teachers do it. It’s absolutely insane. The reason patients are not using the medicine is not their fault. I think it’s largely our fault for how we manage people. If you look at how these drugs are used in the studies, they show you these curves of what happens at weeks 1, 2, 4, 6, 8, 12, because they’re bringing them back at those interval visits. So, acne medicines actually work much better than we think they do. The problem is largely poor compliance. So, are you suggesting that I bring my patients in in less than a month, maybe in several weeks, to make sure they’re doing better? I don’t have a problem with doing that. I think that if that gets best results, perhaps we should, but I think, perhaps, what you’re also saying is realistically speaking, that’s going to be difficult to do for our patients. Actually, that’s a very good idea, which I do for many other conditions, which is using our portal to have my patients communicate with me. They absolutely love it, and so do I. It’s like text messaging, but it’s done in a HIPPA-compliant method, teens love patient portals because they like to do everything electronically. It gives them a sense of responsibility as well as a sense of urgency to get done what they need to get done to have their acne get better. I’ll tell you what, those are some very, very good suggestions. I wanted to go back to one other little tip about Claire. She’s really active. She’s probably doing CrossFit these days. If she’s got big muscles on her—or you’re seeing a guy, teenager or adult, and they just look buff—I would encourage you to ask them if they’re taking any supplements to make their performance better. A lot of times these supplements have androgens in them and the patient doesn’t even know it. it may be androgens in there that are contributing to the problem. I couldn’t think of a better way to wrap up our discussion on treating acne than with those pieces of advice, Steve; excellent. So, I’d like to thank you, Steve Feldman, for joining me today. It’s my pleasure. Thanks so much for including me. This activity was provided in partnership with Prova Education. Whether it’s mild or severe, acne impacts patients’ quality of life in many ways. Here’s how to best manage this condition at the primary care level. Particularly among adolescent patients, treating acne is a top concern, which is why primary care physicians need to dedicate time to have this discussion with their patients. 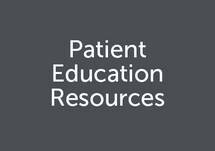 To help you develop the best management plan, this activity will cover treatment options based on acne severity along with tips for improving patient adherence. Dr. Feldman has disclosed he receives grant support from Abbvie, Celgene, Galderma Laboratories, L.P., Janssen, Lilly, Novartis Pharmaceuticals Corporation, Pfizer Inc., Regeneron, Sanofi, Taro; he participates in speaker bureaus for Abbvie, Celgene, Janssen, Leo Pharma Inc., Lilly, Novartis Pharmaceuticals Corporation, Ortho Dermatology, Pfizer Inc., Regeneron, Sanofi, Sun Pharma, Taro; he receives consulting fees from Abbvie, Advance Medical, Alvotech, Caremark, Celgene, Galderma Laboratories, L.P., Gerson Lehrman Group, Guidepoint Global, Janssen, Kikaku, Leo Pharma Inc., Lilly,, Merck & Co., Inc., Mylan, Novartis Pharmaceuticals Corporation, Ortho Dermatology, Pfizer Inc., Regeneron, Sanofi, Sienna, Sun Pharma, Suncare Research, Xenoport; and received royalties from Causa Technologies (Founder, CTO), Informa, Medical Quality Enhancement Corporation (Majority Owner), UpToDate, Xlibris. 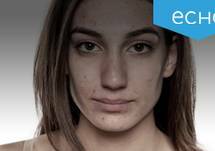 Describe the physical and psychosocial impacts of acne and associated scarring on affected patients in addition to the importance of early treatment. Recommend a comprehensive, evidence-based treatment regimen that includes the appropriate use of over-the-counter treatment options for patients with mild to moderate acne. Employ a shared decision-making approach to the management of acne, educating patients on treatment expectations and accounting for patient preference and access to prescription medicines. This activity is designed to meet the educational needs of primary care physician, family medicine physicians, nurse practitioners and physician assistants, pediatricians, obstetricians, gynecologists, and pharmacists. The Omnia-Prova Education Collaborative, Inc. designates this enduring material for a maximum of .50 AMA PRA Category 1 Credit(s)™. Physicians should claim only the credit commensurate with the extent of their participation in the activity.